Tamannaah Bhatia along with a troupe performs during the opening ceremony of IPL 2018 in Mumbai. Bollywood Acctress Tamannaah Bhatia (Bahubali Actress) during an event to handover the 5 kg gold as a bumper prize to a customer of a Malabar gold showroom in Bengaluru. 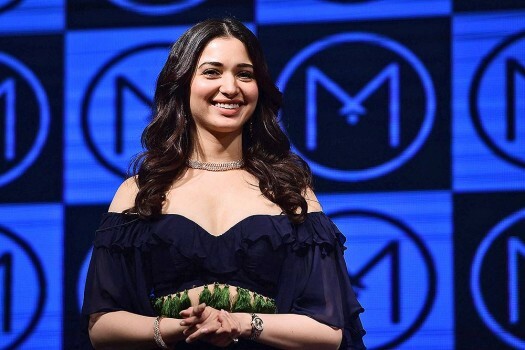 Bollywood actor Tamannaah Bhatia poses during at fund-raiser in Mumbai.